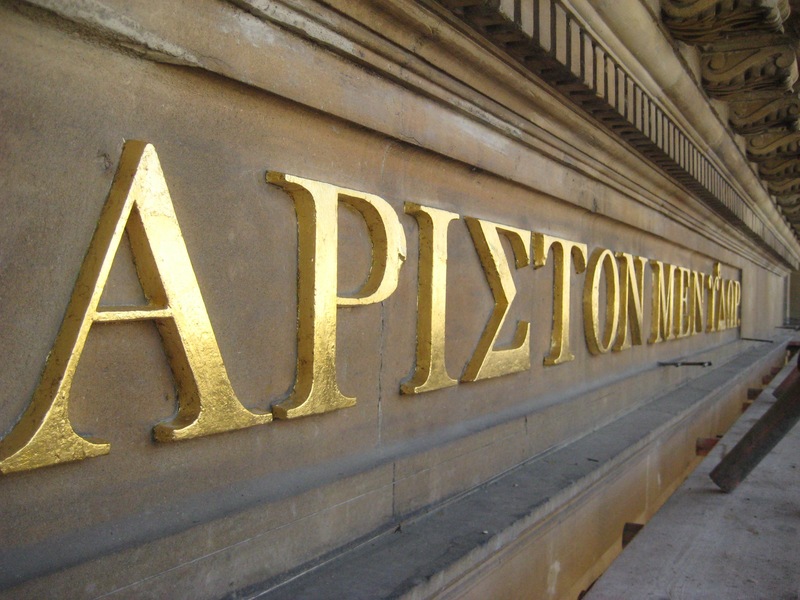 The Greek inscription you can see just below the pediment on the Pump Room facade. You would think that a city whose fortunes have revolved around its springs and water courses would be doing more to celebrate the fact. 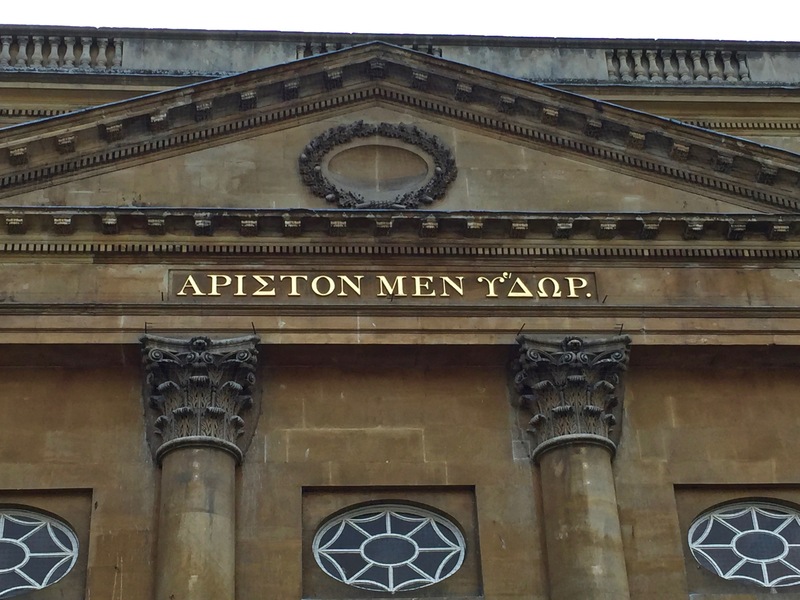 Well, you may not know this but Bath’s public acknowledgement of its aquatic attributes IS written in gilded letters of gold – high on the Pump Room facade. The gilded letters spell out that water is best! The Virtual Museum of Bath has always been keen on persuading those in authority to do more to rejoice in Bath’s plentiful supply of hot and cold waters. It’s keen to see more in the way of fountains and water features around this World Heritage city. 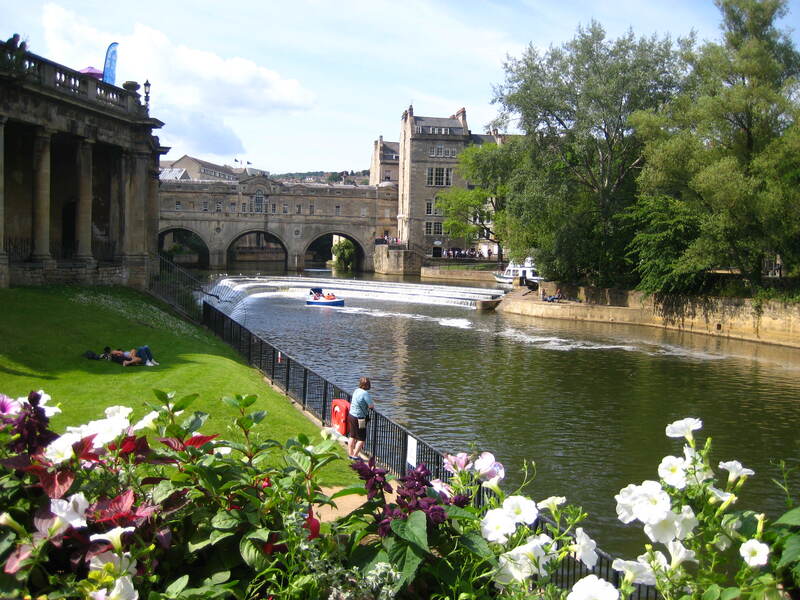 Looking up the River Avon towards Pulteney Bridge and Weir. One that has only just woken up to the benefits of promoting the River Avon that flows at – and in the past – over its gates. So it’s good to welcome a sort of ‘comrade-in-arms’ – a local architect who earlier this year won the Royal Institute of British Architect’s Imagine Bath competition. It was a competition which called upon the public and professionals to think up transformative ideas for the city and attracted nearly one hundred entries. Rob Delius, who is Head of Sustainable Design at Stride Treglown, was looking at visual ways in which the city could make more of its prize assets and use them to attract even more visitors to the city. Now his winning entry – along with some other imaginative ideas which were highly commended – is likely to be discussed in greater detail in a soon-to-be-held meeting with B&NES. The Virtual Museum went along to talk to Rob at his company’s Bath office in Oldfield Park.